This Wednesday, October 8, I’ll be making my annual pilgrimage to Cornell’s paw paw orchard in Lansing for a tasting tour along with several area paw paw enthusiasts (van shuttle will leave CCE Tompkins, 615 Willow Ave in Ithaca promptly at 3:40. Email sapsquatch7@gmail.com to reserve a seat.) This free tour will explore the two acre planting of North America’s largest native fruit and folks will be welcome to try the collection of 28 varieties and take some home too. Planted in cooperation with the University of Kentucky in 1999, the paw paw orchard has largely flown under the radar. Now that paw paws are gaining in popularity, it’s a great time to taste these magical fruits. For me, this golden fleshed jem has held an almost mystical grasp on my psyche. I had several dreams about paw paws last year before our last tour. I have planted several over the years and last year got my first big crop from some trees I planted in downtown Ithaca back in 2005. Now almost 20’ high, the largest of these is an iconic reminder to me of my passion for unusual and lesser-known edibles. Several have been planted in Ithaca’s Permaculture Park Project including one planted during our ribbon cutting by Mayor Svante Myrick. The hope is that over the coming decade, these plantings will help the paw paw become more mainstream, at least in our small corner of the world, and gain the notoriety it deserves. 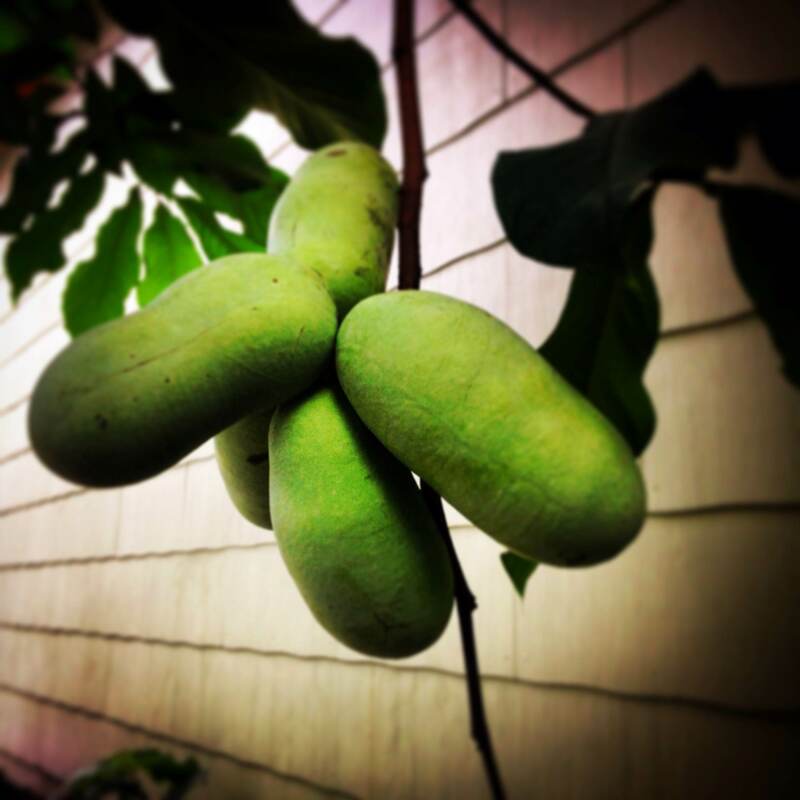 Have you ever thought of growing pawpaws? Cornell Cooperative Extension of Seneca County is offering a Pawpaw Production Workshop on Thursday evening, November 6, 2014 from 6:30 pm to 8:30 pm. The workshop will be held at Vince’s Park at the intersection of Rt 314 and Rts 5+20 in Seneca Falls, NY.